Born in a Christian home, Ruth found the Lord at an early age and felt called to the mission field at 7. She graduated from Columbia University with a B. Sc. Degree and later with a Masters in Public Health. After graduation she went to Cali, Colombia, South America, where she taught at the state university’s master program and later worked as a short-term consultant for Pan American Health Organization/ World Health Organization. At the same time, she began a small home church made up of those who came to know the Lord through her testimony. In 1973 she met Julio Ruibal, the “Apostle of the Andes” as the secular press called him. In 1976 Julio and Ruth were married and spent their first year studying in the graduate program at Multnomah School of the Bible in Portland, Oregon. 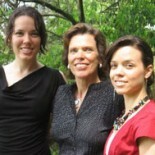 The Lord blessed them with two daughters, Abigail and Sarah, now young adults active in ministry. In 1978 the Lord led the Ruibals to Cali, Colombia, where they established a second local church, Ekklesia Colombian Christian Center – the first they established in La Paz, Bolivia, in 1974, now with 23,000 members. The local church in Colombia has a Christian elementary school with a bibliocentric curriculum in Spanish. Ekklesia also has a small health department as well as a communication ministry. Ruth has authored and co-authored books, texts, and materials for pastors and college courses. In 2001, she earned her Doctorate in Ministry from Florida Beacon College and Seminary. Dr. Julio Ruibal was a key instrument in promoting unity among Christian leaders and pastors in Cali. He was killed in December in 1995, giving his life as a martyr for the Gospel of Jesus Christ. At his funeral the pastors made a covenant of unity that remains strong and functional. This unity has been reported by the Christian mass media. Millions have also been encouraged and blessed by Ruth’s testimony as shown by the Sentinel Group in their Transformations Ivideo that has been seen by approximately 150 million people in 150 countries. In spite of the danger in Colombia, Ruth and her daughters remained committed to their call to live and minister in Cali. Ruth is senior pastor of Ekklesia Colombian Christian Center. She has worked closely with the Director’s Board of the Ministerial Association and is one of the appointed elders over the city. Dr. Ruibal has continued proclaiming the sovereignty of God and teaching on unity as an indispensable expression of the Kingdom of God. With her dynamic testimony, she has preached and taught groups of pastors, and ministered in leadership conferences and churches in over 30 countries on the six inhabited continents. This timely message can be found in her book, Unity in the Spirit, published in the spring of 2002. It has been translated into six languages and other languages are in the translating process. She appears frequently on radio and television programs including the 700 Club, 100 Huntley Street, Focus on the Family andChristian Worldwide News. Her testimony has appeared in many magazines such as Charisma, In Contact, and Christ for the Nations. Since 1997 Dr. Ruibal has also served as a member of the Executive Directory Board of COICOM (Latin American Confederation of Christian Communicators). Ruth is also president of the Julio C. Ruibal Ministries in Pinellas Park, Florida..
Sarah Ruibal has been involved in ministry since her early teens – discipling other teenaged girls, participating in weekly radio programs for youth, and in evangelistic outreaches through a hip-hop dance troop of which she was part and now leads. 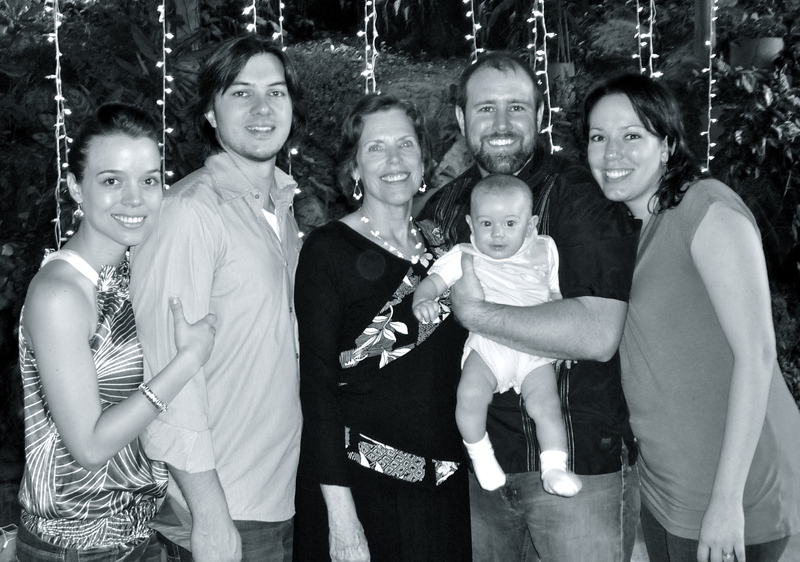 As a teenager, Sarah experienced the tragedy of the martyrdom of her father in Cali, Colombia. 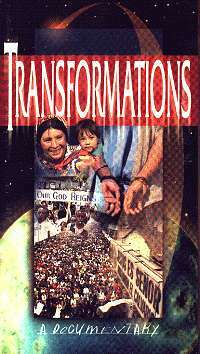 The story of Sarah’s family was featured in the Sentinel Group’s Transformations 1 video which has been seen throughout the world by an estimated 180 million people. Sarah studied Bible, dance and music in Cali, and later continued her studies for a year in Idaho and another year in Australia before returning to Cali where she taught hip-hop for their Christian school outreaches and Bible in high school. She worked in artistic evangelistic productions (drama, dance, percussion, art, etc.) for the school and church and also served as the school counselor. She worked as administrative assistant to the Ruibal Ministries and frequently accompanied her mother on international ministry trips. Sarah has shared her touching testimony of the faithfulness of God in the midst of difficulties in several nations. In October of 2008 Sarah married her best friend Nathan Bashaw. They reside principally in British Columbia, Canada. Since Nathan has a flexible business they are also able to spend several months in Cali at a time where they serve in ministry. Abigail Ruibal has been involved in ministry since her teens – discipling youth, leading a weekly radio program for adolescents for three years, as youth pastor and as a member of the hip-hop evangelistic team. As a teenager, Abby experienced the tragedy of the martyrdom of her father in Cali, Colombia. The story of Abby’s family was featured in the Sentinel Group’s Transformations 1 video which has been seen throughout the world by an estimated 180 million people. In 1996 Abby participated in Youth with a Mission’s DTS (Discipleship Training) and participated in their three-month missions trip in Japan. She taught several grades in the Christian school in Cali. Abby also studied in Portland Bible College in Portland, Oregon, graduating in 2003 with a BA in Theology and AA in Humanities. She returned to Cali, Colombia, and served in the ministry as a Bible teacher in the Latin American Christian University as well as in their high school. She worked as school counselor and felt her need for additional preparation. In March 2008, Abby married her best friend Shane Holcomb and in August of 2009 they welcomed their first child Solomon Holcomb. Presently the Holcombs reside in the Nashville area where Abby finished her Masters in Marriage and Family Therapy and is presently working on her Internship. She works at a children’s clinic.